What is the Purpose of a Biomechanics Assessment? A biomechanics assessment or examination is an investigation into your lower limb function, looking very closely for any abnormalities that may cause pain or discomfort. Many people have an assessment because problems with their feet impact their day-to-day lives and activities. The biochemical assessment of foot function and gait will allow the podiatrist to give advice on the best treatments for the individual. The main aim of the foot consultation is to find long-term solutions to the problem, to improve your quality of life. What Happens at a Biomechanical Assessment? A Biomechanical Podiatrist conducts a thorough assessment to examine the way your lower limbs work, which enables them to check for potential abnormalities and possible causes of foot pain, as well as pain in the ankle, knee and back. 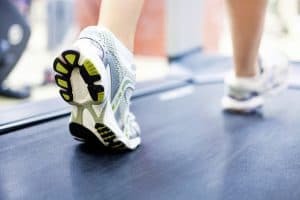 Once we have identified the problems that are causing the pain, we can advise on treatment such as Orthotics, exercises and footwear advice to improve strength and flexibility. Why Would I Need a Biomechanical Assessment? What Treatments Can Be Offered After The Assessment? 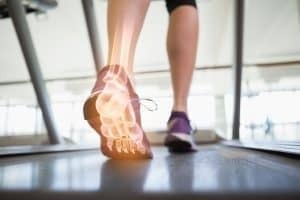 If you think you need help with biomechanical foot problems then give us a call on 01386576128or get in touch via our contact page to arrange an assessment to see how we can help you.